He is a System Analysis & started programming in his teens. His first PC was an apple IIE and since then had owned a range of PCs from an IBM XT, AT, 386, 486 & Pentium systems. He and Cecil first started a Bulletin Board in Singapore 23 June 1993 called 1st SOFTware EXchange (BBS), Singapore. The experience gained as the System Operator had given him valuable experiences in both hardware and software developments. He is well versed in many programming languages ranging from Pascal, C, C++, Java, Java Scripting, Perl, CGI, PHP and lots more. He is also familiar with a wide variety of Operating Systems ranging from DOS, Win 3.x, Win 95, Win NT (Server & Workstations), Win 98, Win 2000/2003/2012, OS/2 Warp, OS/2 Server, Linux, and lots more. He gained interest in Feng Shui after studying the various Feng Shui principles and Pillars of Destiny (Ba Zi Ming Yun) from Cecil Lee. He discovered to his amazement that the calculations done for friends and family members coincided with real life events. Since then, he started his own comprehensive research to develop the best and accurate methods to develop many of the useful tools you find under My Feng Shui. He is extremely fascinated with mathematical aspects of Feng Shui and continues to enhance and develop new tools. - Enhanced the Pillars of Destiny v2.x and published it on the Internet officially. - Mastered the complex art of Five Element Concept and its relation to all the various schools. - Developed the Five Element Cure v1.00 and published it on the Internet officially. - Developed the Eight House v1.00 and published it on the Internet officially. - Mastered the art of Furniture and Room placement and the key principles for the application. - Developed the Eight Characters Feng Shui v1.00 but have not released for public used. - Mastered the art of Chinese Name reading. Feng Shui is a complex school and thus he is still expanding his knowledge on many areas. 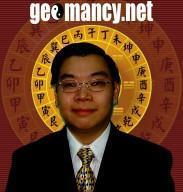 His computerized Feng Shui tools are used widely today and prove to be of help to many people.